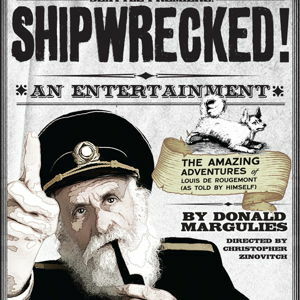 Come along on a rip-roaring adventure on the high seas in Pulitzer Prize winner Donald Margulies' "Shipwrecked! An Entertainment". Come listen to gentleman Louis de Rougemont as he regales you with his story of bravery and survival, chock-full of exotic islanders, flying wombats, giant sea turtles and a monstrous man-eating octopus -- of course, not all of it might be true, but that doesn't stop Louis! Now Moonbox Productions brings this entertaining yarn, which features original music and live special effects, to the Boston Center for the Arts. This production is performed in repertory with "Twelfth Night".